In This Modern Day And Age, Should You Carry Cash? We have come a long way in the world technology. With the vastly growing options of payment in the form of plastics (debit and credit cards), online banking and electronic fund transfers, it is no wonder that the question “Should you carry Cash?” Frequently arises. From making purchases online to buying cigarettes in the store, debit and credit cards are now the most common way of purchasing goods and services. There are also the prepaid cards that also have become popular as well. The question should be rephrased to why should you carry cash when there is plastic? It is estimated that 9% of Americans don’t carry any cash in their pockets as they go about their daily routines. For the rest that do have cash in their pocket; they opt to have smaller notes ranging from 5-50 dollars. With the rising popularity, convenience and security of debit and credit cards, cash is being used less by American folk. The lure of earning points that turn into redeemable rewards also make the plastics appealing to the consumer. Like everything else, carrying around cash has its advantages and disadvantages. Emergencies– You may need it for something that requires paper money or for instance; if you want to wash your clothes at the laundry mart or clean your car at the car wash. While at work, you may desire to buy a soda or something from the vendor machine as a snack. There may be some sort of contribution going on at work for a certain co worker and you only have a card. Card ‘unfriendly’– Believe it or not, there are those little shops that sell items for cash only and haven’t caught up with the times; or simply refuse to. There may be a garage sale you go to and I don’t think there is any I’ve been to that take debit or credit cards. Card is not available-You may not always be near an ATM and emergency money in your wallet may get you out of a binding situation. Furthermore, your card may come up missing, or it is suspended by your financial institution for some reason. Should you carry cash? Answer is yes, it comes in handy sometimes. Restaurant spending– You might want to tip a waiter or split bills while in a restaurant. Having some cash solves the confusion of having one person to pay the whole bill. To seek out someone just so that they pay their half for some food you ate at a restaurant can be deemed as petty and for you, cumbersome. You might as well consider it as a treat for your friend and call it a day. 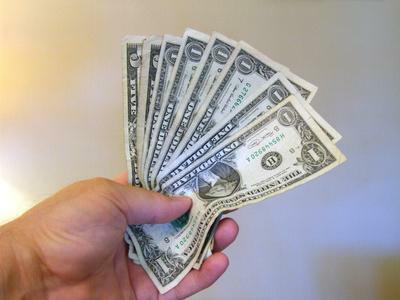 Should you carry cash, carry enough so that you don’t end up in an embarrassing situation. Toll ways– It comes in handy for roadway tolls. However, there is now a tag that drivers hang on the front of the window so that every time they use the toll, that card is detected and charged to your bank account or debit card. Emergency Lending– Just in case someone is in need of money; a friend or family member, then cash is the way to go. Your check book might not be nearby and it is always a good idea to have paper money. Should you carry cash, make sure it is in small bills. Losing Money– There is a likelihood that you may lose it. Having to dip in your wallet every so often to remove cash creates a high possibility of a note slipping out. Why should you carry cash when you have at least 3 plastics in your wallet? Mugging– It can be stolen. It is the easiest to steal, especially if the thieves are not familiar with the identity theft schemes out there. A common thief prefers cash and if you have it; that is the first thing he or she will go after. There are people who always have a few 20 dollar bills in their wallet for the purposes of security. If a thief sees this in your wallet, chances are they shall forget about the plastic. Overspending– You may be tempted to overuse or overspend what is in your wallet. When you have hard cash in your hand, it is easier to spend as opposed to having a debit card at hand. Asking why should you carry cash may be applied here, especially if you are a spendthrift. When you have it in your pocket, it is possible to forget that you put it there and end up panic stricken because you don’t know exactly where your money is at home.